JerseyYards.org was developed by the Barnegat Bay Partnership with a grant from the New Jersey Department of Environmental Protection. The Barnegat Bay Partnership (BBP) is the National Estuary Program for the Barnegat Bay. More than 30 partners – government agencies, academic institutions, businesses, non-profit organizations, and citizen groups – are all working together for cleaner water and a healthier ecosystem in the bay. The U.S. Environmental Protection Agency provides funding for the program, which also receives local funding support from Ocean County College and the Ocean County Board of Chosen Freeholders. A critical part of the BBP’s efforts involves reducing the “people” pollution carried from yards by stormwater runoff into our waterways. BBP partners have spearheaded numerous initiatives to reduce this type of pollution, from educating about responsible fertilizer use and the benefits of native plants to developing healthy soil standards and installing rain gardens. The challenge was to make this information more easily accessible to the people who can make the biggest difference for clean water – the residents of the watershed. With funding from the New Jersey Department of Environmental Protection (NJDEP), the Ocean County Soil Conservation District (OCSCD) published Low Maintenance Landscaping for the Barnegat Bay Watershed in 2000. 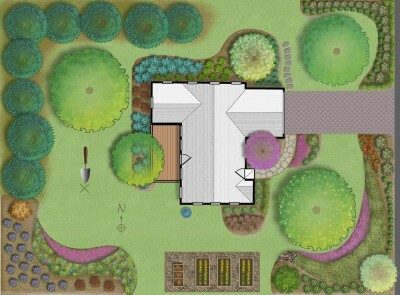 This comprehensive guidebook provides simple and effective landscaping techniques for an environmentally friendly, low-maintenance yard. In 2008, the American Littoral Society, another BBP partner, started its Bayscape for Barnegat Bay program to encourage residents of the watershed to reduce polluted runoff by reducing lawn areas and planting native gardens. To complement these partner efforts, the BBP published Going Native: A Guide to Landscaping with Native Plants in the Barnegat Bay Watershed in 2012. 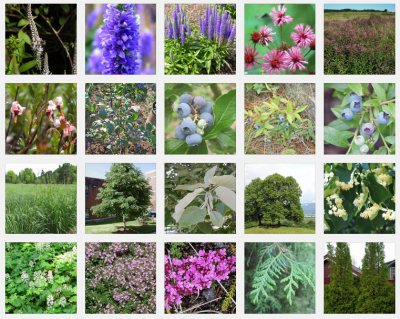 This colorful guide provides information about the benefits of using native plants for home landscaping and offers a list of native plants adapted to the area. In 2013, the BBP funded a major research and education project by the OCSCD and its partners called the Soil Health Improvement Project. The project provided property owners with information about simple, low-cost, and practical soil restoration techniques and also created five public native plant gardens demonstrating choices for different environmental conditions a homeowner or landscaper may encounter. Thank you to all the partners who made this website possible. The goal of Jersey-Friendly Yards is clean water in our state for drinking, swimming, fishing, and wildlife and a healthier environment for everyone. Together we can do it, Jersey-Friendly yard by Jersey-Friendly yard!